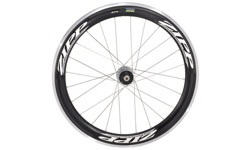 RoadBikeWheel.co.uk is a comparison site which displays the best road bike wheels. We have over 300 different wheels to choose from and the most comprehensive search facility for you to search by brand, type and price. At roadbikewheel.co.uk we offer a great selection of wheelsets, and include clincher and tubular version for cyclists that prefer either or. You can be secure in the knowledge that we work with the likes of Chain Reaction Cycles, Evans Cycles, Wiggle and Hargroves Cycles to allow you to find the best priced racing wheels. Generally road bike wheels are made out of aluminium and carbon, with carbon wheels being more expensive due to the way that they are made. There are a huge range of brands and prices to suit any kind of rider with an investment of less than £100 upwards for £3000+ for the top carbon all singing all dancing wheel sets. Road biking is a popular sport in the UK and with many more enthusiasts and professionals there is a greater demand for choice of parts to help riders customise their bikes. Road bike wheels are important part of kit for a rider. 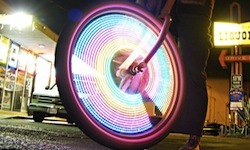 As they are the rotational part of the bike you get an added centripetal force which in effect adds to your drag. So the lighter the wheels the less effort needed for the same speed. Many riders try to reduce the weight of individual components, which all helps in those steep ascents, but the weight and shape of a riders racing bike wheel are where you can really gain an advantage.